Do you need a NAATI accredited Chinese translator in Brisbane? Brisbane Translation is Australia’s fastest professional Chinese translation service, providing high-quality Chinese translation services for clients in Brisbane and more broadly, Queensland. Our NAATI accredited Chinese translators in Brisbane are able to deliver NAATI certified Chinese to English and English to Chinese translations at affordable prices. You can use our NAATI certified Chinese translations for official purposes such as submission to the Department of Immigration and Border Protection (DIBP), to Universities and to the Australian Passport Office. How much do Chinese translation services cost? Standard documents start from just AUD $69 per document. As there are many different documents that we translate, and different speed and delivery options available, please complete the Free Quote form on our website for a personal quote. How quickly can you complete my Chinese translation? Most of our Chinese translation services are completed in 2-3 business days and sent to you by email. 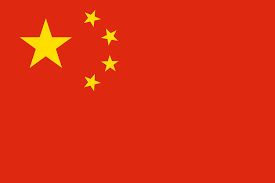 We can also complete Urgent Chinese translations in under 24 hours if necessary – please complete the Free Quote form. What is a NAATI accredited Chinese to English translation? NAATI stands for the National Accreditation Authority for Translators and Interpreters. NAATI provides credentialing for translators and interpreters in Australia. You should have your Chinese documents translated by a NAATI accredited Chinese translator in Brisbane because most Australian government departments and other authorities in Australia need translations to be NAATI certified. Our Chinese translators in Brisbane are experts in providing Chinese to English NAATI certified translations. How do I order my Chinese translation from Brisbane Translation? Brisbane Translation is an online translation service. To order your Chinese translation from Brisbane translation, simply complete the free quote form on this page and upload a scan or photo of the documents you would like translated from Chinese to English or English to Chinese. You will receive a quote via email within approximately 15 minutes with all the information you need in that email. Our Chinese translation team at Brisbane Translation are here to make the NAATI certified Chinese translation process as simple as possible. Unlike other languages, the Chinese language has several lettering systems. Mandarin or Simplified Chinese is preferred by people in the Mainland area while the rest of those who do not live in the Mainland uses Traditional Chinese language. A translator needs to consider these when translating. A lot of the Chinese dialects in Southwest and Northern China are under Mandarin which has boosted the number of Mandarin speakers to 85 million. However, with the difference in dialects, both vocabulary, pronunciation and grammar are different. The Chinese language has a lot of characters that amount to 56,000 characters in a Chinese dictionary. It’s a good thing that only around 3,000 to 6,000 characters are used daily. Mandarin has a somewhat poly-syllabic word compared to other Chinese dialects. A certified translator must know the right character associated with each Chinese syllable. Get an instant quote when you complete the online form on this page free-of-charge. I am very happy with the service provided by Brisbane Translation. They translated my Chinese driver’s licence into English very fast for me and the price was good also.